We’ve planned a special menu for the occasion, so why not book a table and treat the most important lady in your life? • Roast Topside of Beef with Yorkshire Pudding and Horseradish Sauce. • Home Cooked Honey Roast Ham. • Roast leg of Lamb with mint Sauce. Phone 01766 516032 to reserve your table. 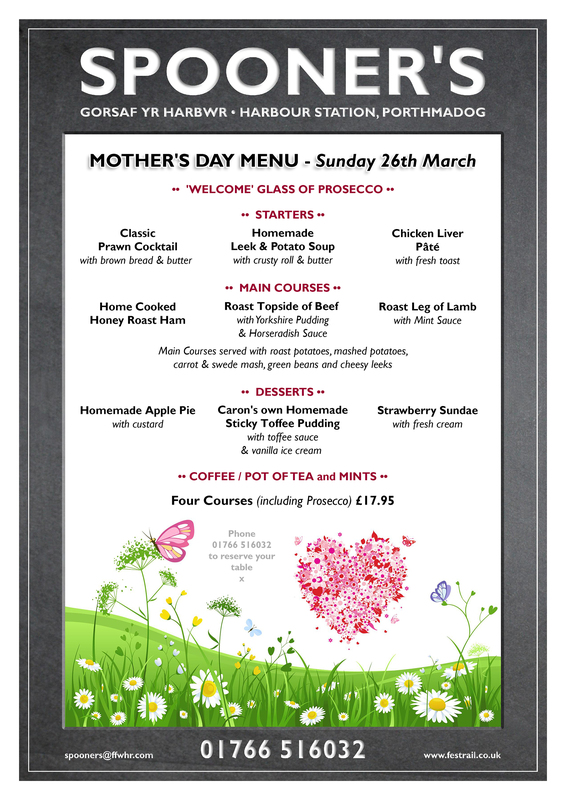 In News Tagged mother's day, porthmadog, spooners, sunday lunch Bookmark the permalink.